A modern classic. It’s easy to imagine the Tripla-BL3 in a country kitchen with its blend of traditional aesthetics and contemporary functionality. Matt black, heritage handles and striking lines give this tapware its vintage appeal, while its ability to dispense filtered water, as well as hot and cold tap water, meets today’s demands for pure drinking water. 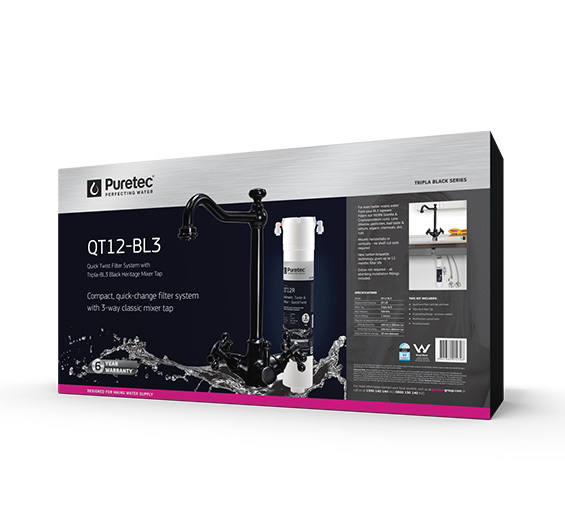 The BL3, like all Puretec Tripla taps, does not mix filtered and unfiltered water. 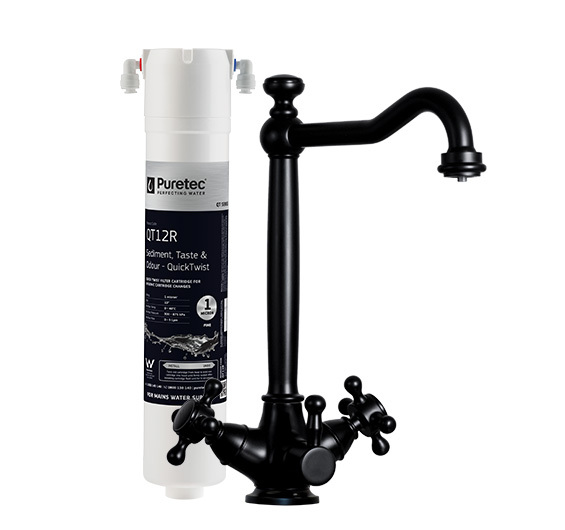 The Puretec Quick-Twist filter is easy to install, and will work in either a vertical or horizontal position. 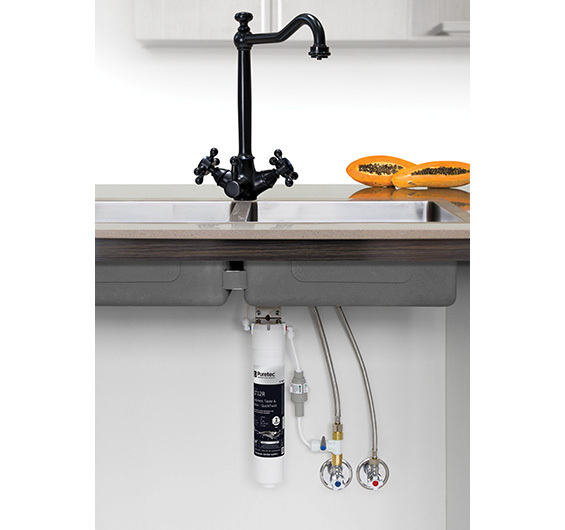 The system includes all necessary plumbing connections, and is specially designed to operate with Tripla tapware. This combination includes the QT series filter and the TRIPLA-BL3 mixer.